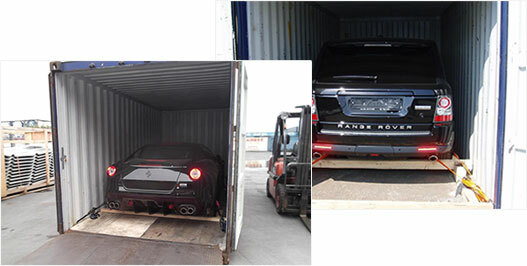 Shipping cars in Containers is one of our premium service managed by our Project Management Team. 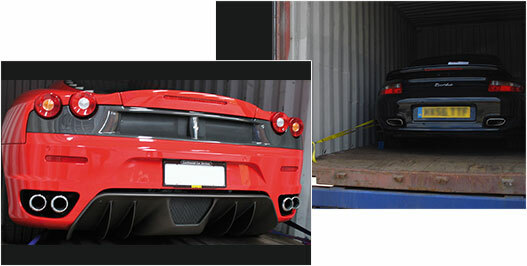 We offer professional services in Shipping Vehicles in and out of US & UK. In this segment of ours, it is important to gain Customer confidence by letting them know that all vehicles are securely blocked, braced, and tied down ensuring complete security during transportation. Our Project Management will take utmost care ensuring safe and secure loading of cars in containers. 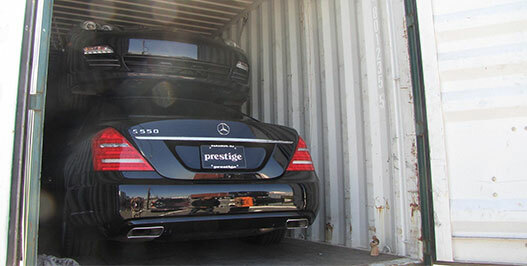 We offer great shipping rates to and from all major Ports and comply with all import/export regulations and customs formalities so that you can make right choice while shipping your car Internationally. Great precautions are taken to safely load your car so that it remains well secured for the duration of shipment and does not move within the container either while at sea or being loaded and unloaded from the ship. 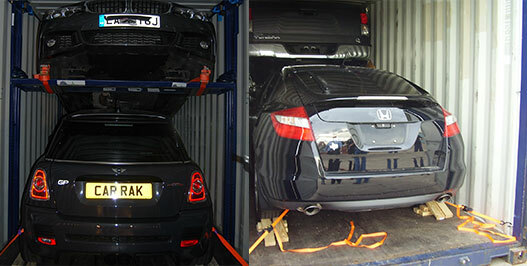 At our loading facility your car is driven into the container all four wheels are safely positioned and chocked. Wheel chocks can be made from either metal or wood and when in place are screwed down to the floor of the container. Once the wheels are chocked, padded ratchet straps are used to lash the wheels to the containers built in securing eyelets located in each corner to ensure that your car cannot move during transit. If the nature of your vehicle means that it may not be appropriate or perhaps possible to secure straps around the wheels, the vehicles front and rear towing eyelets can be used to lash your car securely in the container.